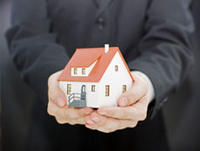 Lafayette Real Estate & Property Management, Lafayette Real Estate & Property Management, Lafayette, CO Real Estate & Property Management Companies. We'll consult with you on all landscaping, exterior & interior property "Curb Appeal" projects. Our extensive relationships with high quality vendors will be happy to assist you in consulting and quoting proposed work to insure the highest possible return on the sale of your property. There's a lot of preparation work that's involved in selling your home, far more than agreeing to a List Price and placing a For Sale sign in your front yard. To maximize your Return on Investment and insure your highest possible Market Price (what a Buyer will actually pay for your property, the List Price is what the Seller is asking for the property and the figure for what the property is marketed at) a Seller will want to insure their property and improvements (home or outbuildings) are presented to interested Buyers in their best possible condition. Lafayette is bordered by the Town of Erie to the north and east, by the City of Broomfield to the east and south, and by the City of Louisville to the southwest; with a 2010 census population of 24,453. Lafayette was founded in 1878 by Mary Miller. She and her husband, Lafayette Miller, had moved to the area to farm land acquired via the Homestead Act in 1871. The city quickly became a part of the coal-mining boom that all of eastern Boulder and southwestern Weld counties were experiencing, with the Cannon and Simpson mines being the largest and most productive. By 1914 Lafayette was a booming town with two banks, four hotels, and a brickworks. Lafayette was also the location of a power station that served Louisville, Boulder, Longmont, and Fort Collins. Lafayette hosts a variety of unique events each year, including an oatmeal festival in cooperation with the Quaker Oats Company in the winter, a peach festival in the summer, and Art Night Out hosted in Old Town Lafayette with live music, beer and wine garden, artist booths, children's activities & more. There's plenty of recreation with outstanding views of the Rocky Mountains to be found in the 14 neighborhood parks, Frisbee golf course, coal creek trail, Waneka Lake, and the Indian Peaks Golf Course which was designed by three-time U.S. Open winner Hale Irwin. Lafayette is served with an award-winning middle school, day-care and preschools, and a K-12 charter school. Centaurus High School is an Engineering School, and an International Baccalaureate Focus School that provides an environment rich in academia. CHS also offers a wide range of Advanced Placement (AP) courses. Our AP and Honors programs, Fine Arts and Practical Arts programs, Pre- Engineering programs, and exceptional extra-curricular programs ensure that each of our students are prepared for a competitive future. Our school's enrollment is just over 1,000 students, ensuring a learning community that is large enough to offer an array of courses and programs, yet small enough to provide individual academic guidance and assistance. We begin our community building in 9th grade with our unique 4-Year Advisory Program and 360 mentoring program. AVID (Advancement Via Individual Determination), International Baccalaureate, and Pre-Engineering provide students the most rigorous courses in preparation for highly academic majors at the University level. Both AVID and Pre-Engineering classes are enhanced by partnerships with local universities and community mentors. The Engineering Partnership with the University of Colorado provides students the opportunity for guaranteed admission to the CU School of Engineering. The International Baccalaureate Diploma Program provides students with the academic preparation to compete nationally and internationally. Peak to Peak's elementary program uses components of the nationally recognized Core Knowledge program. Students entering middle school enroll in courses specifically designed to prepare students to take and succeed in Peak to Peak's advanced courses. Peak to Peak's high school features the "Peak Scholar Award." Designed to challenge students who desire a well-rounded high school experience, the Peak Scholar Diploma indicates to highly selective colleges the Peak Scholar's commitment to excellence.